The Leiston Surgery is open from 8.00a.m to 6.30p.m each weekday. Emergencies outside these hours are handled by the Out of Hours service. Outside of our opening hours NHS 111 is a national advice and help line for all medical problems. 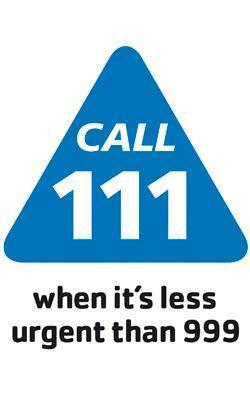 Simply dial 111or visit www.nhs.uk/111. The CCG run monthly training events for all practice within Ipswich & East Suffolk CCG. These events typically run on a Wednesday or a Thursday afternoon. The shut down afternoon starts at 1pm, meaning that the phone lines will be closed and that the surgery will remain open only to enable patients to access prescriptions only (dispensed medications can be accessed during normal working hours) and to arrange appointments. If you need medical assistance during this time, please call 111.